Lake Como is one of the most beautiful places in the world. The lake — 56 square miles of water shaped like an upside down “Y” — is surrounded by snow-covered mountains. The region’s popularity is partly due to its go-to destination status with numerous celebrities — both George Clooney and Madonna own houses there. But celeb spotting is far from the top thing to tick off in the region. 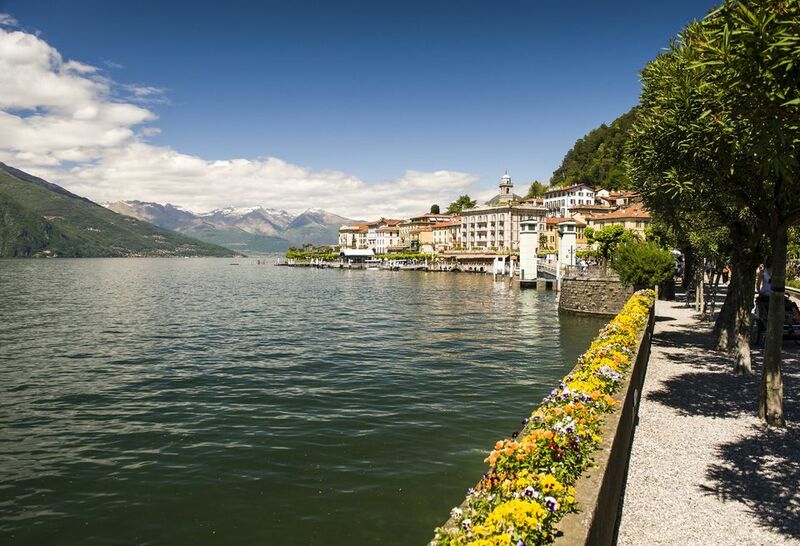 Here’s a list of the top 10 things to do while in Lake Como. Some people don’t realize that Como is not just the name of the lake, but it’s also the name of the city at the base of the lake. There’s plenty to see on a day trip if you’re not staying there. Like most Italian cities, Como features a duomo built back in the 14th century, which has a mix of Gothic and Renaissance styles. Other historical church structures worth seeing include the Basilica di Sant’Abbondio and the Basicilica di San Fedele. Como also has great shopping — it's the home of Italian silk manufacturing and lies in close proximity to many top international fashion houses. Some of the best views of Lake Como are found on the way up to the Faro Voltiano, a lighthouse. First you get to enjoy a funicular ride from the water up to Brunate. Then you continue to hike about a mile up a hill until you get to Faro Voltiano. From there the views will be even more breathtaking. The town of Bellagio is located in the middle of the lake, right at the point where the upside down "Y" forks in two directions going north to south. It’s easy to get to as all the boat service on the lake seems to stop there. It’s very nice for an afternoon if you’re not staying there as you can walk through the town’s little streets to shop or eat at one of cute little restaurants. It is filled with tourists, so be careful of the tourist trap restaurant locations right when you come off the boat. You can also visit the Basilica di San Giacomo, a short walk from the port, which is a Romanesque church built back in the 12th century. Villa Carlotta and its 20 acres of botanical gardens are some of the greatest spectacles at Lake Como. Located along the lake in the town of Tremezzo, Villa Carlotta gained its name when the Princess of Prussia gifted the property to her daughter Charlotte. A charitable foundation picked administrative rights soon after World War I and that led Villa Carlotta to what it is today. The gardens are luscious with a wide variety of exotic plants and can be explored for hours. The villa itself is full of famous painting and sculptures as well. Movie fans will enjoy their time at Villa del Balbianello more than most. Located on the water in the town of Lenno, the house was used for scenes in Casino Royale as James Bond recovered from his time with Le Chiffre. It was also featured in A Month by the Lake and Star Wars: Episode II Attack of the Clones, although CGI was used because the building wouldn’t have fit visually with everything else. It’s now the most visited property of all those run by the National Trust of Italy because of its movie history and its terraced gardens. The snow-capped mountains of the Italian Alps are very close to Lake Como — close enough to throw on some skiis and ride down the nearby mountains. The closest option is likely Piani di Bobbio, which has 10 lifts, but those on the north side of the lake might prefer Skiarea Valchiavenna in Madesimo with the 3,000 foot descent. Not only can you ski in the Italian Alps around Lake Como, you can also ski on Lake Como itself. For a reasonable cost, you can rent a boat and driver for a couple hours, throw on a wet suit and water skis (or a wakeboard) and ski on the beautiful lake itself. There’s just something extremely enjoyable about Lake Como’s beautiful views that can rarely be duplicated during other waterskiing opportunities. The views around Lake Como are incredibly beautiful and are best enjoyed on a boat ride. Whether you’re renting your own boat, either with or without a driver, or just taking the boat ferries around Lake Como, you’ll thoroughly enjoy your time on the water. You can also hop from town to town and check things out along the way. There’s so much to do in the small town of Varenna that you’ll never find yourself at a loss. Castello di Vezio offers an olive grove surrounding a typical medieval castle. You might even catch a falconer show while you’re there. Villa Monastero matches luscious plants and structure as you choose between small temples and statues. There is even more greenery at Villa Cipressi with gardens and tiered terraces. There’s also the shortest river in Italy called the Flumelatte if you haven’t seen enough by now. The terrain around Lake Como allows plenty of opportunity to explore the hills for a few hours on foot. There’s a wide variety of difficulty levels across the available hikes, but Greenway del Lago and Sentiero del Viandante offer two opportunities that should be suitable for most people.